If you go to Disneyland on the week before Christmas, you will probably regret it. 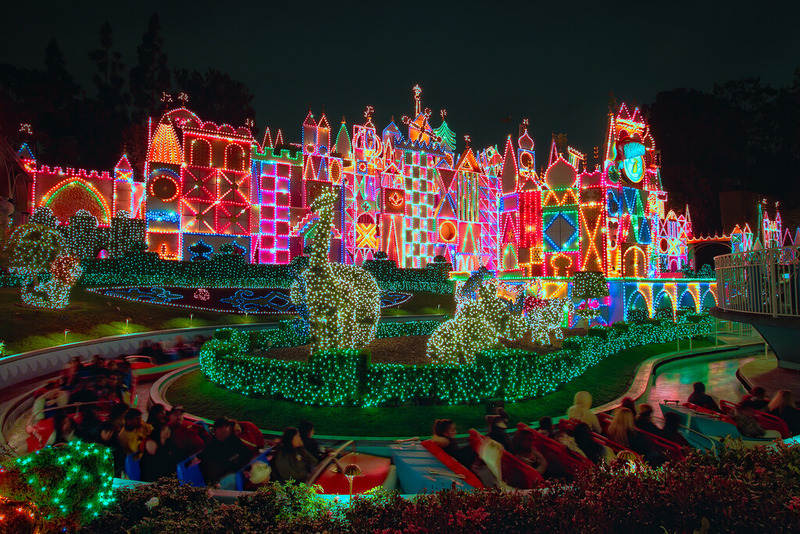 It’s no secret that the Holidays at the Disneyland Resort is the most popular time of the year to go. The parks are decked out for Christmas, holiday shows and parades are in full swing, and attractions are boasting their seasonal overlays. For many people, it’s the perfect time to visit Disneyland — and the absolute worst time to visit if you’re looking for a little bit of breathing room. The holiday season is indeed the busiest time of the year at Disneyland. 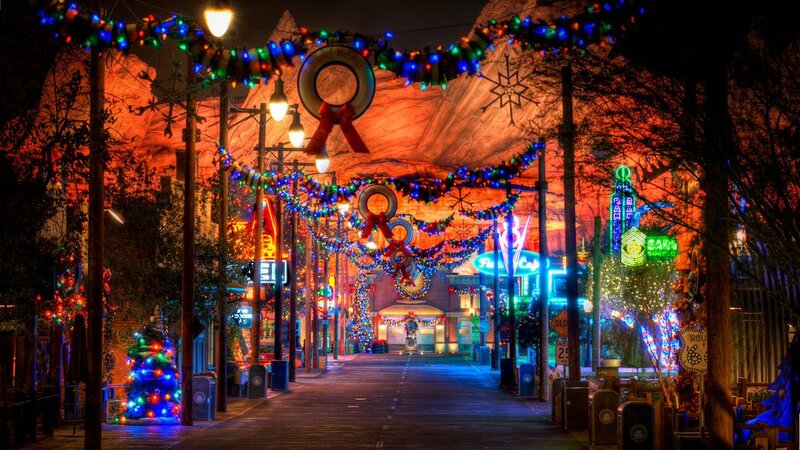 Still, that doesn’t mean a trip to the parks during Christmastime has to be a miserably crowded experience. If you go the right day, it’s possible to enjoy all the holiday festivities Disney has to offer without the endless lines and massive crowds. Be sure to check out the Disneyland Crowd Calendar for more dates. Keep an eye out for “Best Bet” days, which have a higher chance of being less crowded. When it comes to beating the holiday season crowds at Disneyland, the early bird gets the worm. The best general advice is to go early in the season, with one major exception — Thanksgiving week. The weeks before and after Thanksgiving are historically some of the best days to go during the holiday season. Weekends in November are crowded, but it’s way better than weekends in December, some of the most crowded days of the year. The holiday season officially starts on the week after Halloween, traditionally on Friday. Opening weekend, especially Friday night, is very popular with locals and annual passholders, so try to avoid it if you can. The first full week of the holiday season (Monday-Thursday) is historically one of the best times to go. We call it the calm before the storm. It’s the week before Thanksgiving, so schools are still in session and most people aren’t in the holiday mood just yet. The result? Manageable crowds and tolerable wait times! It’s an early Christmas miracle! Ok, let’s talk about the week of Thanksgiving. Don’t go. Got it? Good. Simply put, Thanksgiving week should be avoided at all costs. It’s one of the busiest times at Disneyland year after year, as capacity crowds slam the parks before and after the Thanksgiving holiday. It gets so crowded that it’s not uncommon for Disney to halt ticket sales and suspend admission to the park to relieve attendance levels. If you’re crazy enough to visit Disneyland this week, we recommend going on Sunday or Thursday (Thanksgiving Day). Those days are historically just a little bit more manageable. Be sure to also arrive early in the morning and before the parks open if at all possible — Disneyland usually reaches capacity by noon. Is Disneyland crowded on the day after Thanksgiving (Black Friday)? We get asked this question a lot! Surely everyone is out shopping or resting from their turkey hangover, right? Nope! Black Friday is one of the busiest days of the year. After Thanksgiving week, schools go back in session and attendance drops during the week. This is the “sweet spot” of the holiday season at Disneyland — a few days of relatively manageable crowds and bearable lines in between all of the madness. Weekdays in late November through early December are historically less crowded. December is when the holiday season crowds go from bad to worse — and downright ugly around Christmas. Just like in November though, you’re a lot better off the earlier in the month you go. By the week before Christmas, attendance starts to pick up and peaks on the days before and after Christmas Day. First week of December – Last call! Weekdays on the first week of December are historically the last dates to experience a somewhat manageable Disneyland before the holiday season crowds really start to pick up. The week before Christmas is when crowds get very noticeably worse. This is the week schools start to get off for winter break, so attendance spikes at Disneyland to some of the highest levels of the year. 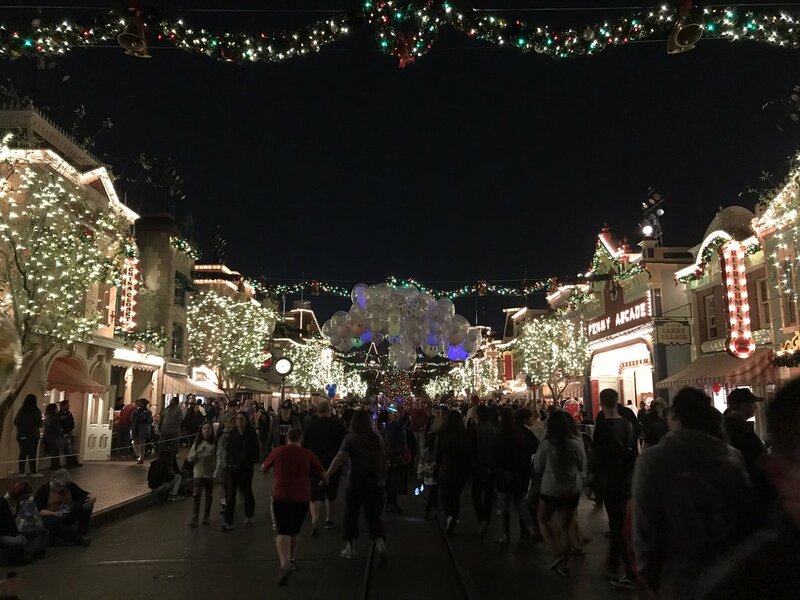 Is Disneyland usually crowded on Christmas Eve? Yup, but it’s historically one of the better days to go around then. So if you absolutely, positively must visit Disneyland during the worst time of the year, we recommend going on Christmas Eve. So, is Disneyland crowded on Christmas Day? It usually is, but it tends to vary every year. Unfortunately, we don’t see a historical trend of Christmas Day being less crowded like Christmas Eve. Disneyland is one of the few places open on Christmas Day, and many other theme parks are closed for the holiday, so attendance can sometimes be higher on December 25. December 26-30 – Worst days ever? This is where it gets ugly. The days after Christmas are arguably the worst days of the year to go. 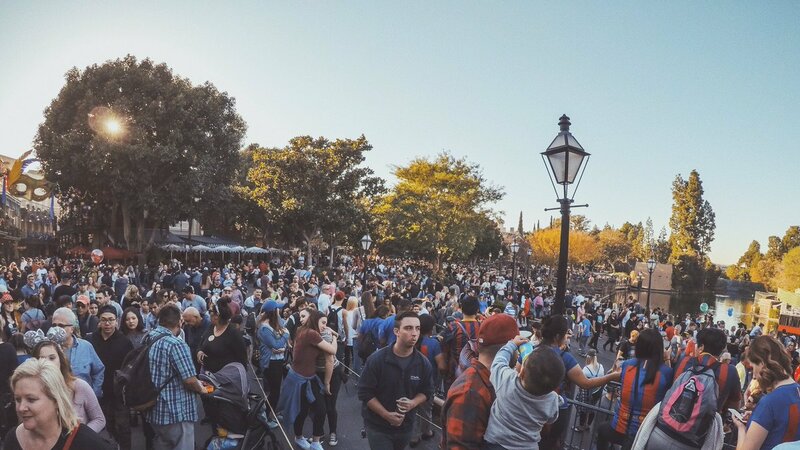 In recent years, Disneyland reaching maximum capacity on any of these days is almost a certainty. We’re talking 100+min wait times here and gridlocked walkways everywhere you go. Yeah, it’s pretty bad. If you must go after Christmas, we highly recommend waiting until New Year’s Eve or early January. New Year’s Eve is… actually ok? New Year’s Eve at Disneyland can actually be manageable if you go during the day. Crowds do, however, tend to pick up substantially in the evening for the New Year’s countdown festivities and fireworks. The holiday season at Disneyland doesn’t end after December — it extends through the first week of the new year. Here’s the bad news: it’s still crowded. Schools are still out of session and families are still on winter vacation, so the big holiday season crowds are still around. The good news? It’s not as bad as the last weeks of December. Disneyland usually doesn’t reach capacity after New Year’s, so we think it’s definitely worth waiting until at least January 1 to enjoy the last few days of the holiday season. Is New Year’s Day crowded? 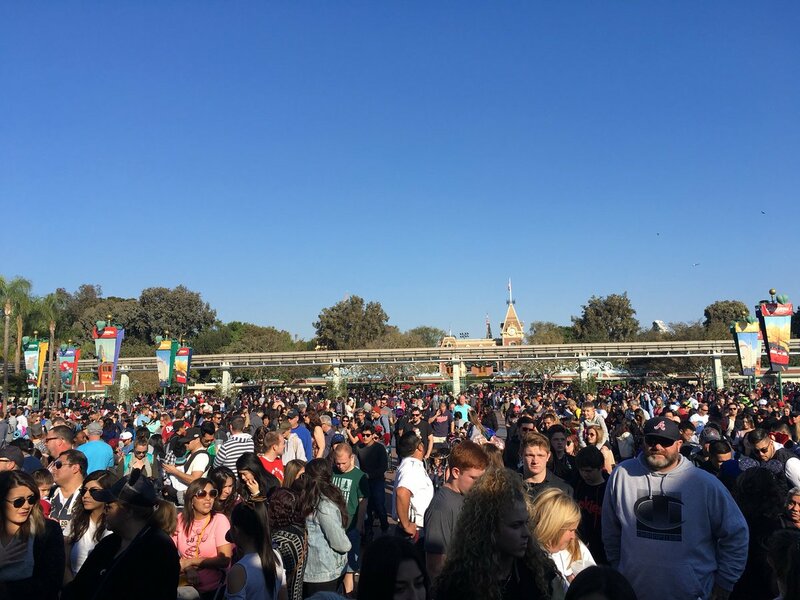 So, just how crowded is Disneyland on New Year’s Day? The first day of the year is surprisingly one of the better days to go during the holiday chaos. New Year’s Day is often marked as a “Best Bet” on the Disneyland Crowd Calendar, which means it has the highest chance of being one of the least crowded days of the week. Granted, it’s still the holiday season, so expect long lines for many rides — but if you must go around then, we think New Year’s Day isn’t such a bad idea. After New Year’s Day, crowds pick up again on January 2 through the last day of the holiday season. Again though, it tends to be more manageable than the days before and after Christmas. Have you been to Disneyland during the holidays? What was your experience like and when do you think is the best or worst time to go? Be sure to let us know in the comments below! We are planning on going December 1-2. How crowded do you guys think it will be? I’d be prepared for the first weekend of December to be very crowded, but it should be better than later in the month. Saturday is expected to be worse. We made the mistake of going on the day after Christmas a few years ago. It was a nightmare! Disneyland was so crowded you couldn’t even walk around some areas. DCA was crowded as well. Never gong around then ever again. We went on Christmas Eve and it wasn’t very crowded. We were able to get everything done, but the days after were very crowded! We are going on November 12-15. Do you guys think it will be crowded? It’s expected to be manageable on those days. The first week of the holiday season is probably the best time to go. I am planning to go November 17-18th, 1 park per day. On the crowd calendar it says “yup it’s packed” on both days but I am not sure what this means in terms of crowds? Should I expect shoulder to shoulder? should I expect a stroller hitting the back of my leg every 5 seconds? Can someone help me clarify the atmosphere as well what is to actually be expected of wait times? Got the max pass so hopefully this will lighten the load! It usually gets shoulder-to-shoulder bad starting on Monday, but the weekend before Thanksgiving should still be crowded. Around 60min waits is the norm, usually more for the holiday attractions, so MaxPass will definitely come in handy. Thanks Robert for replying!! Ok just got to mentally prepare for the crowds ahha first time using the max pass for Disneyland so I hope hope it goes well! 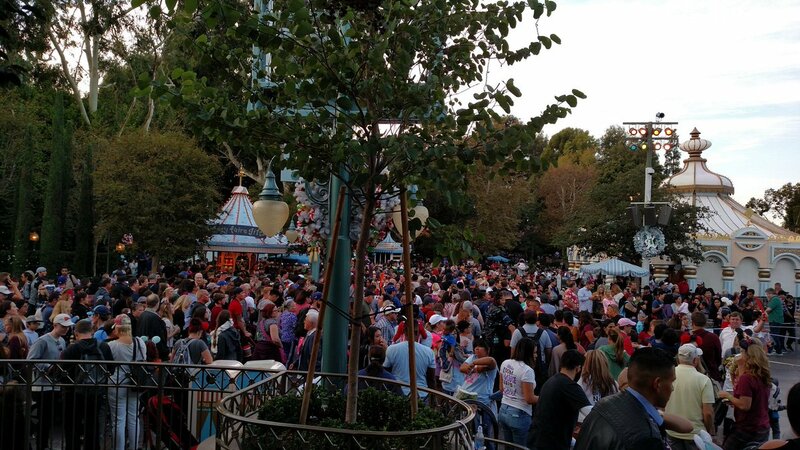 How crowded will Disneyland be on November 15?